As someone who speaks to audiences all over the world about disaster recovery, I get the opportunity to hear firsthand how a number of organizations handle disaster preparedness. Most IT professionals seem to accept the idea that disaster is not a matter of if, but when, and that disaster preparedness is essential. Even so, there is one big mistake that gets made over and over again. The single biggest mistake that I see on a regular basis is organizations creating their backup and recovery efforts as a first line of defense against data loss, rather than as a last line of defense. While I do not want to downplay the importance of backups in any way, I believe that data restoration should only occur as a last resort. There are two main reasons why I recommend avoiding data restorations unless you have no choice. First, the restoration process almost always results in at least a little bit of data loss. By its very nature, a restoration results in the loss of any data that has been created since the time of the most recent backup. Modern backups are often based around Continuous Data Protection technology and are theoretically not subject to this problem. However, most continuous data protection systems are asynchronous. These systems backup data on a scheduled basis. A scheduled processes typically occur at intervals ranging anywhere from thirty seconds to fifteen minutes (depending on the product). As such, the recovery process could result in the loss of anywhere from a few seconds to several minutes worth of data. While this might not sound like a lot, imagine the consequences if the recovery operation focused on point of sale data. There might be transactions for which you have no record after the recovery completes. The other reason why I advised against using backups as a first line of defense is because of the effect that the recovery process can have on the organization. If the organization is using a traditional backup application, then there may be certain key systems have to remain off-line until the recovery operation completes. If the organization is using one of the newer, instant recovery solutions then there may only be a brief outage. Even so, the affected systems are likely to suffer from diminished performance while the recovery operation is performed in the background. In my opinion, it is better to prevent a disaster from occurring in the first place rather than trying to recover from a disaster that has already happened. The best way to achieve this is to replicate critical systems to an off-site facility. Not all that long ago, this would have been a very tall order. Not every system could be safely replicated, and only the largest organizations had the budget to maintain a secondary data center. However, technologies such as server virtualization and cloud services have made it much easier and a lot more cost effective to provide online protection for critical systems. Today, it is possible for even the smallest organizations to replicate virtual machines to a public cloud. If disaster strikes, an organization can very quickly shift operations to the cloud and avoid an outage. All of this is possible without incurring the cost of building a secondary data center. Instead, the cloud provider simply bills customers for the resources that they have consumed. Perhaps the greatest benefit to replicating virtual machines to the cloud is that doing so makes it possible for an organization to test their disaster preparedness without impacting ongoing business operations in the process. An administrator can simply redirect operations to the cloud on an as needed basis. Of course those operations can also be redirected back to the local data center at any time. This capability makes it possible to test an organization’s continuity of business plan at any time, without prior planning. Backups are an important part of any organization’s disaster recovery planning, and will remain so for the foreseeable future. 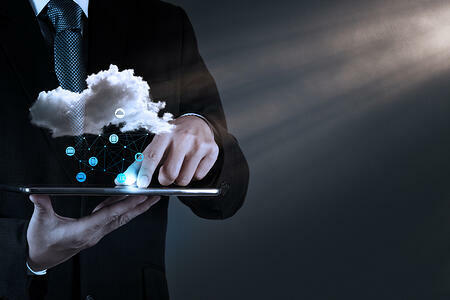 However, technologies such as cloud services and server virtualization have made it convenient and cost-effective for administrators to focus more on continuity of business than on disaster recovery. VLCM works with virtualization giants like VMware to bring customers the best in cloud recovery. Click below to see the assets.